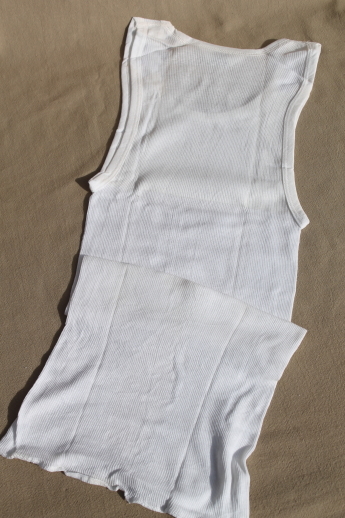 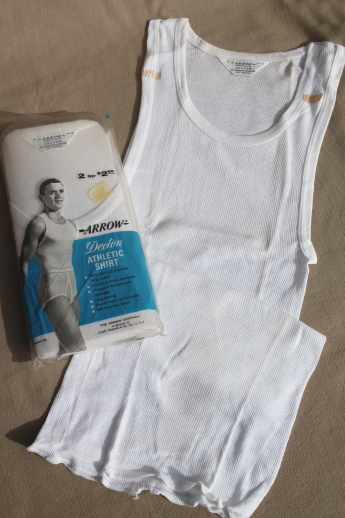 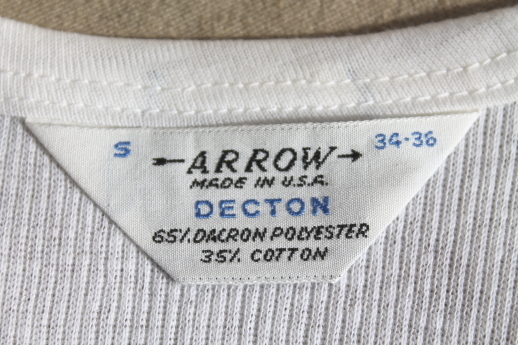 Vintage Arrow Decton brand wife beater undershirts, long ribbed tank style shirts, poly / cotton blend. 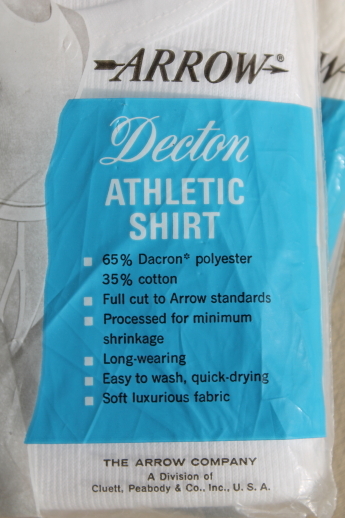 These are called athletic shirts, though they&apos;re very fine and light, not like sport tank tops. 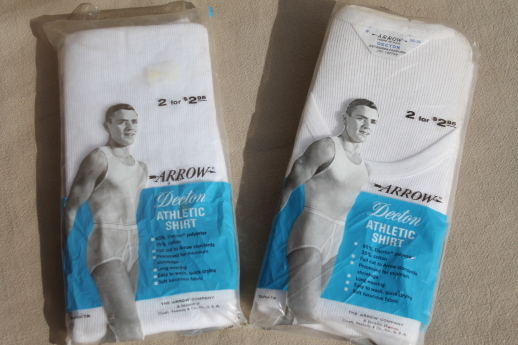 These are new old store stock, still in the original packages, though not in mint condition. 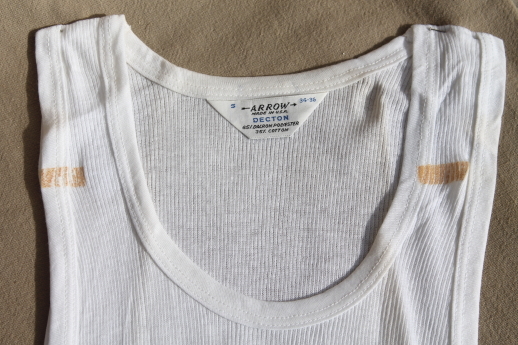 The packages are worn, and there&apos;s some dusty soil marks to some of the shirts where the packages are worn or torn. 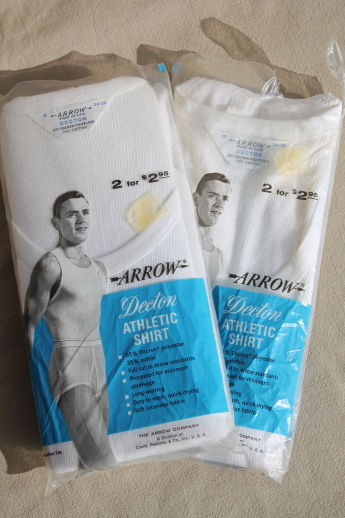 There&apos;s two packages in this lot, two shirts in one package, and one open package containing only one shirt. 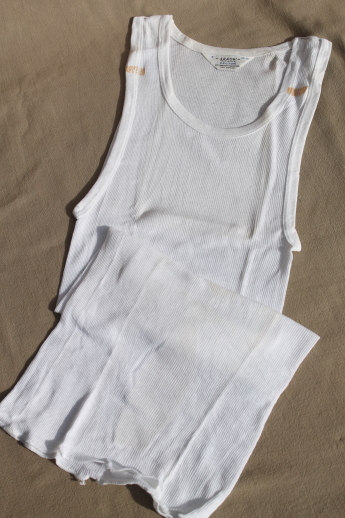 Size is a men&apos;s small, 34" - 36".